I hope you all had a lovely 4th of July! We relaxed at home, splashed around in the sprinklers, and enjoyed a bbq with the fam. We had some out-of-town guests come over Tuesday night, in town for the holiday, so I made a SECOND batch of this wonderful recipe that I'm going to share with you today! I doubled the recipe: 3 casserole dishes overflowing with sweet potatoes, peaches, and tilapia...and by the end there was literally not one bite left. 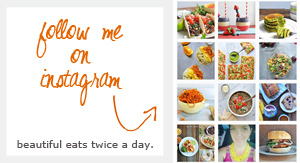 Everyone joined the clean plate club, and I even saw a couple people take last bites with their forks directly out of the casserole dish before putting them into the dishwasher! This makes a cook's heart happy. It all started at the local market last week, when I saw beautiful peaches on sale. Into the cart they went! Before long Babycakes was reaching for a hairy coconut, unsure what it was. We decided to buy it so she could try the "water" inside, and I'd come up with some way to use the rest. And this lovely meal was born. The medley of flavors is so light and summery. 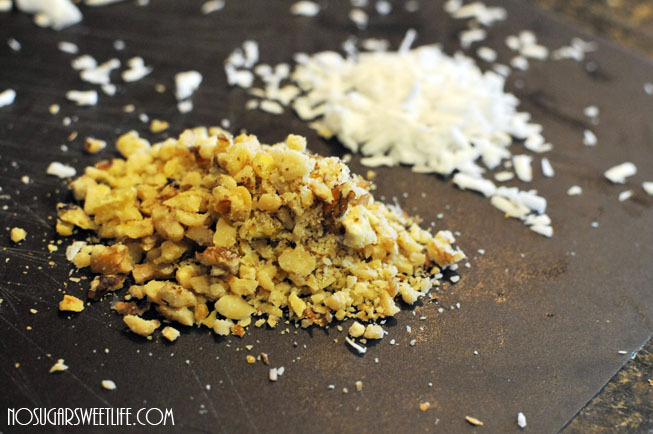 And the shredded coconut and walnuts add a wonderful texture to the tilapia. 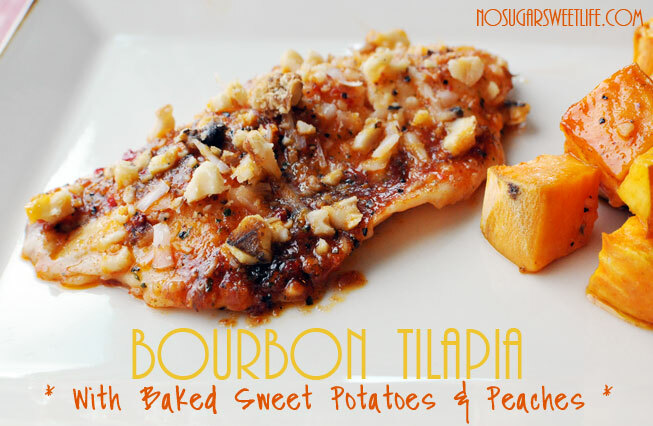 It takes about an hour from start to finish (mostly for the sweet potatoes), but it's definitely worth it! The combination of sweet potatoes and peaches was amazing. 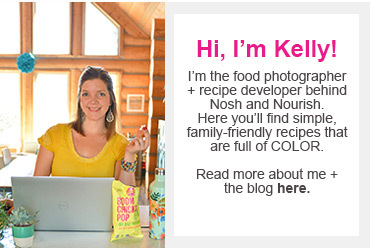 I will definitely be baking them together again! No seriously, y'all. This was.so.good. Dear Hubby congratulated me for my "best meal yet." Coming from him, that means a lot! Any highlights from your 4th of July celebrations? 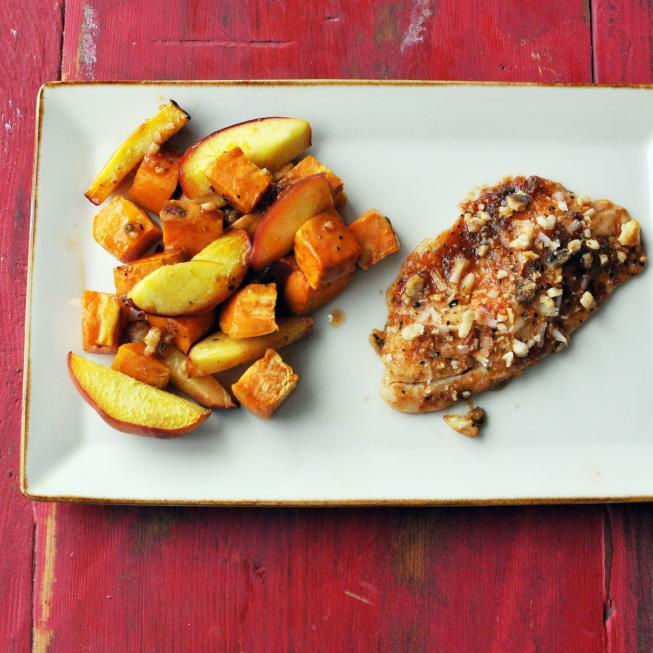 Bourbon Tilapia encrusted with shredded coconut and crushed walnuts, served with baked sweet potatoes and peaches. Peel and cube sweet potatoes. Toss with 1 Tbsp olive oil. After sweet potatoes have cooked for half and hour, take out the casserole dish. Move the sweet potatoes to the edges. 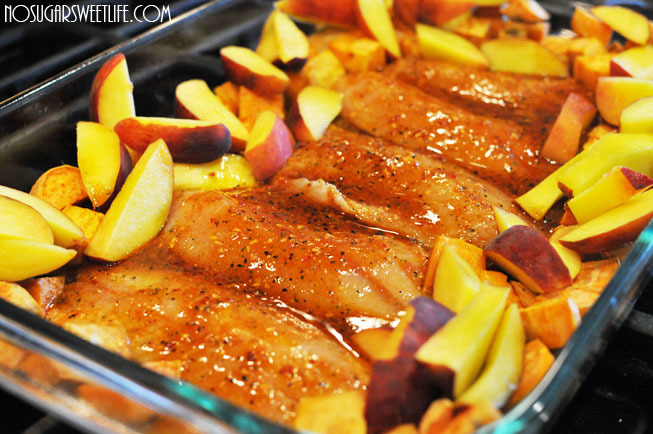 Dip the tilapia in the marinade and lay flat in the center of the casserole dish, flat. Pour remaining marinade on top. 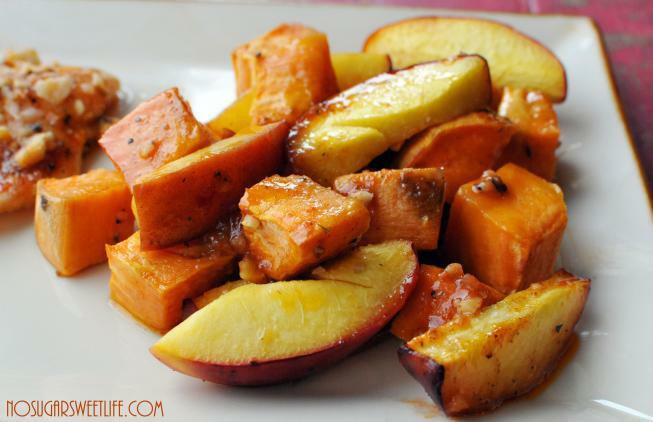 Add sliced peaches around the edges on top of the sweet potatoes. Bake for an additional 25 minutes, or until thoroughly cooked. Take it out of the oven, top the fish with shredded coconut and crushed walnuts.